Doors play a variety of roles in a living space, from inviting guests to enter—to ensuring your family is safe. 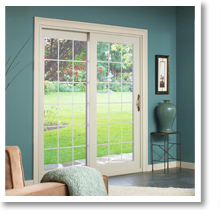 Window World offers beautiful replacement doors in Traverse City and surrounding Northwest Michigan cities. Starting with your free in-home estimate to our expert door installation service, we stick with you throughout the entire process. From entry doors to garage doors in Akron, you can rest easy knowing your door is built to last—we guarantee. 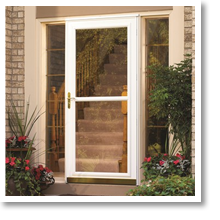 Every Window World replacement door is backed by our Lifetime Limited Warranty to demonstrate our promise to you. Window World of Traverse City’s replacement doors outperform the rest. They’re designed to improve a room’s energy efficiency, open and close with ease, withstand the elements and offer maximum sunlight and views. 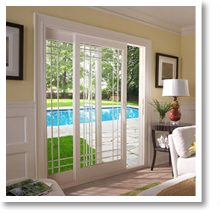 And our high-quality door styles fit any exterior or interior design plans. Never again choose between functionality and style—they’re a package deal to us! 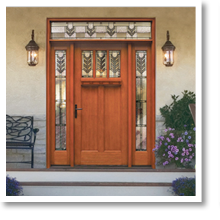 Explore our selection of replacement doors in Traverse City below.